Can I keep or replace the decorative ceramic tileband with something similar? All pools can be individually finished with one of our unique mosaic designs, giving it a unique finishing touch that will enhance the look and have the benefit of hiding the “tide mark” on the pool at surface level. These detailed mosaics are printed onto a tissue and are laminated to the pool during the lining process, once cured they are smooth and easy to wipe clean. Our unique new Luxor range of highly detailed, laser printed mosaic imitates ceramic and stone finishes with realistic results. Floor and step motifs are also available. Isn’t it risky to drain my pool? Not at all, unless you are in a very high water table area. We have groundwater control equipment to deal with pools in high water table areas and we go to great lengths to prevent delays and ensure a problem free fibreglass pool lining with minimum risk to your pool. 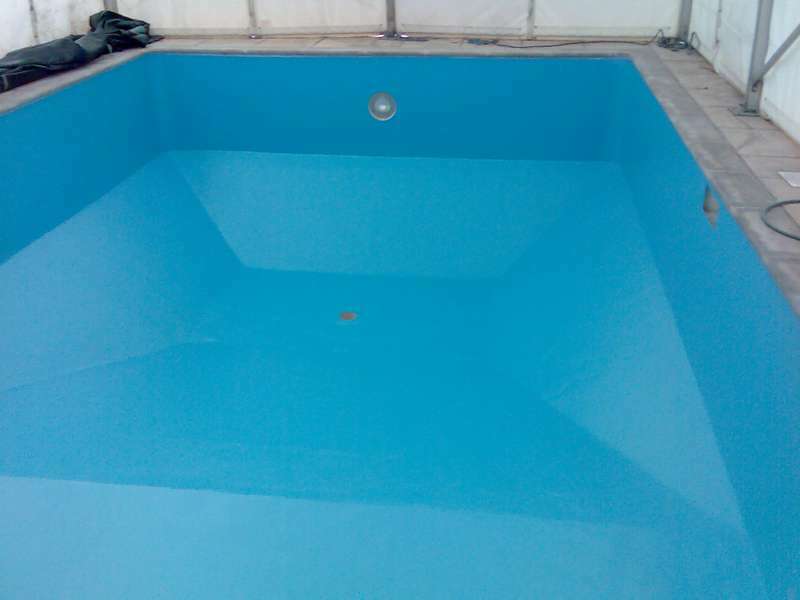 GRP is suitable for almost any type of pool , and can in most cases be applied to marbelite/painted pool surface/composite pools without any expensive preparation. Fittings do not need to be replaced, unlike drop in liner refurbishments which require new fittings. It is a cost effective and durable alternative to a vinyl liner. Unlike a loose vinyl liner our product is bonded to the pool, preventing slippage and wrinkles which are a common problem with vinyl liners. Vnyl swimming pool linings are welded together producing seams at every contour of the pool which can be potential leak points. Our fibreglass lining is a one piece application reducing the risk of leaking and leaving a smooth solid surface. All our outdoor work is done under a temporary cover, creating a clean and dry environment to ensure materials are properly cured and not degraded by exposure to the elements during the work. This is a very important and unique aspect not offered by other contractors. Covering the pool also ensures a fixed start to finish program, unhindered by weather delays. A typical domestic pool can be completed in 1 week – rain or shine. 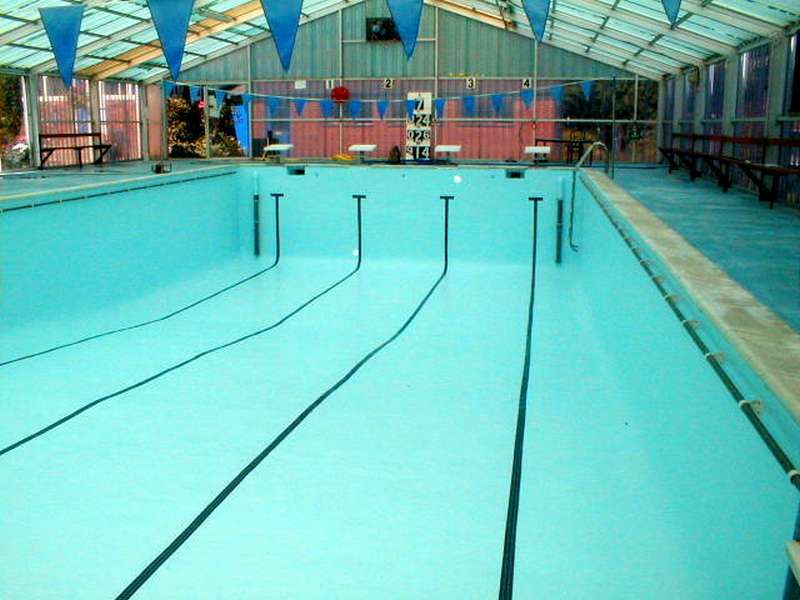 A fibreglass pool lining will last for decades. It is a structural lining composed of a combined glass fibre compound and plastic resin that moulds itself to the shape of your pool. It sets hard and will bridge cracks, seal joints and bodged repairs, giving your pool a watertight structurally strengthened chemical resistant ceramic like finish. 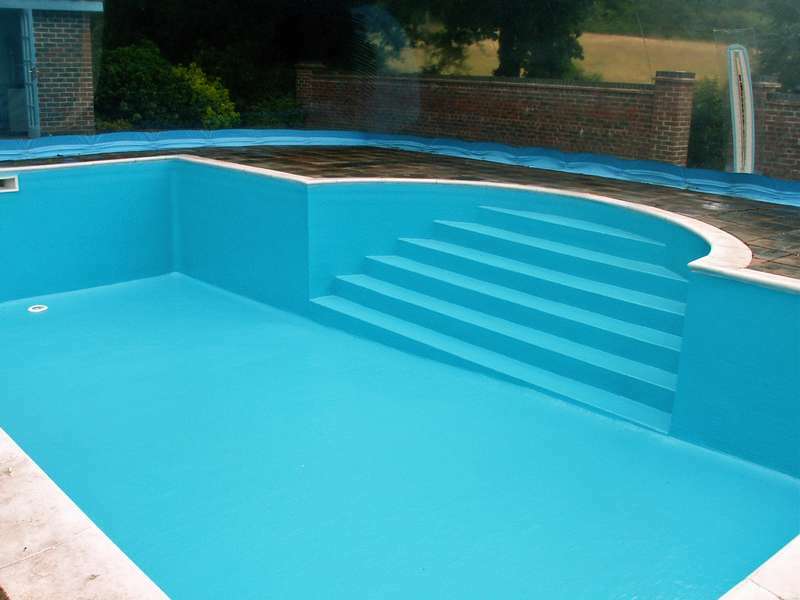 MS Fibreglass Linings are guaranteed to stop leaks in swimming pool structures with a 100% success rate. It is particularly effective on previously tiled or mosaiced pools ,where no visible leak points can be found. 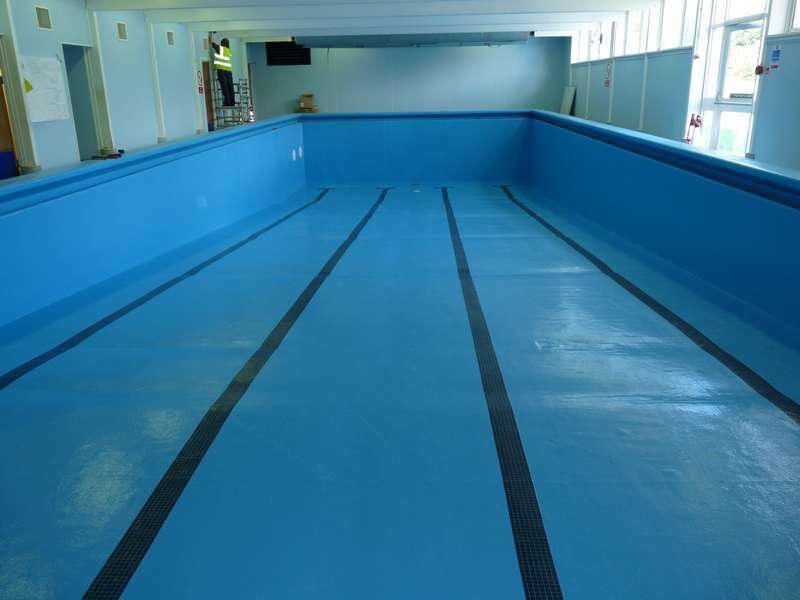 Swimming pool fibreglass linings cannot be easily torn, ripped or punctured,and our modern finishing flow coats will last well in excess of 15 years. 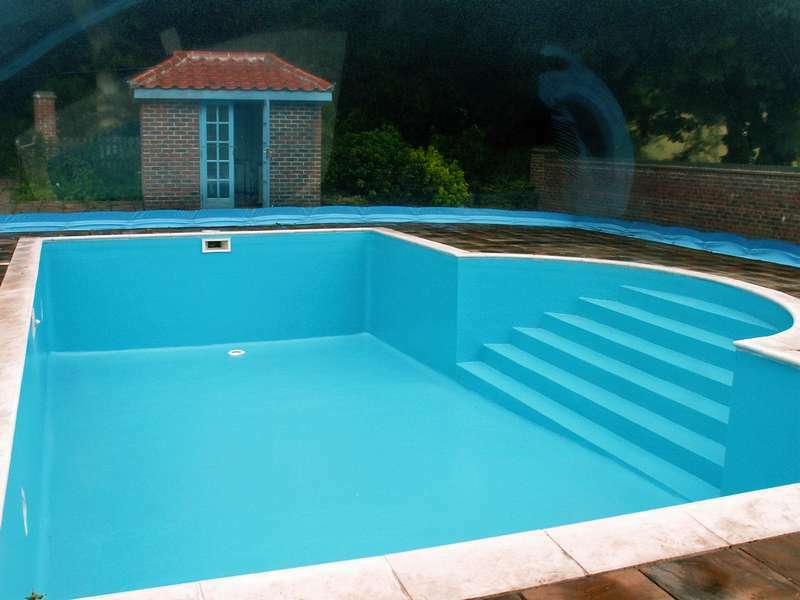 After this time a new finishing coat may be necessary to make your pool look like new again – this can be carried out at a fraction of the cost of a new lining or replacement of an onsite vinyl welded system. Only a fibreglass swimming pool lining is structurally reinforced with a strong glass strand mesh that will resist cracking. Unlike paint, plaster or tile based finishes, the finish is algae resistant and PH neutral, with no leaching of alkaline material, greatly reducing chemical consumption. We use the highest specification materials, particularly the finishing coats which are made especially for swimming pool finishes. Normal off the shelf flow coats are not suitable in a pool environment, and we are confident that we are using the best possible materials for lining swimming pools. We are extremely particular about our standard of workmanship, we are an artisan company, specializing in providing swimming pool linings of a high standard. We do not contract out and with over 20 years of experiences we are confident that all of our fibreglass pool lings are finished to the highest standard.